The 43rd session of the Intergovernmental Panel on Climate Change (IPCC) was held in Nairobi this week to decide on the strategy and timeline for the Sixth Assessment Report cycle (AR6). The outcome of this session has important implications for future collaboration among cities, states and the IPCC and for the advancement of climate scientific knowledge, policy and leadership at the local, national and global levels. The IPCC has responded to calls from city networks and urban stakeholders by deciding to pay special attention to the impacts of climate change on cities and their unique mitigation and adaptation challenges and opportunities. This special focus will be present in all AR6 processes, including the main assessment report, the summary for policy makers, the synthesis report and the three AR6 Special Reports. AR6 processes will also strive for enhanced engagement with urban practitioners. The IPCC has also decided that a Special Report on Climate Change and Cities will be included in the AR7 (2023-2028) and that an International Scientific Conference on Climate Change and Cities will take place early in the AR6 cycle. An IPCC Special Report on Cities and Climate Change will serve to clarify the potential governance, policy, and financial instruments to support mitigation and adaptation actions in urban areas, where more than half of the global population lives and 70% of global energy use is generated. “These outcomes represent a significant achievement for cities, building on the successes of the Urban SDG and the COP21 decision. They create great opportunities to dramatically increase the scientific evidence on cities and climate change, in order to enable better climate policy-making at local level”, commented Debra Roberts, Deputy Head and Chief Resilience Officer of EThekwini (Durban) Municipality, South Africa, and Co-chair of the IPCC Working Group II. UCLG celebrates the decision to commission an IPCC Report on Cities and Climate Change.” added Josep Roig, Secretary General of UCLG. “We are proud of the collaboration among international networks of local governments and their partners, including within the Global Taskforce, that led to this landmark step. The Special Report will highlight the impact climate change is already having on cities and help local governments to implement the environmental dimensions of the 2030 and Habitat III Agendas. We hope to keep that collaborative momentum in the run-up to the Habitat III Conference and the adoption of the New Urban Agenda in Quito in October." Events in Nairobi this week once again show that the next seven years will be crucial in the fight against climate change. A unique window of opportunity now exists to deliver the scientific research that will make up the IPCC Special Report on Cities and Climate Change in AR7, and form a strong knowledge base, informing cities how they can best adapt to and mitigate the impacts of climate change. For the general outcomes of IPCC43, please view the IPCC press release here. Read more about the reports for AR6 here. 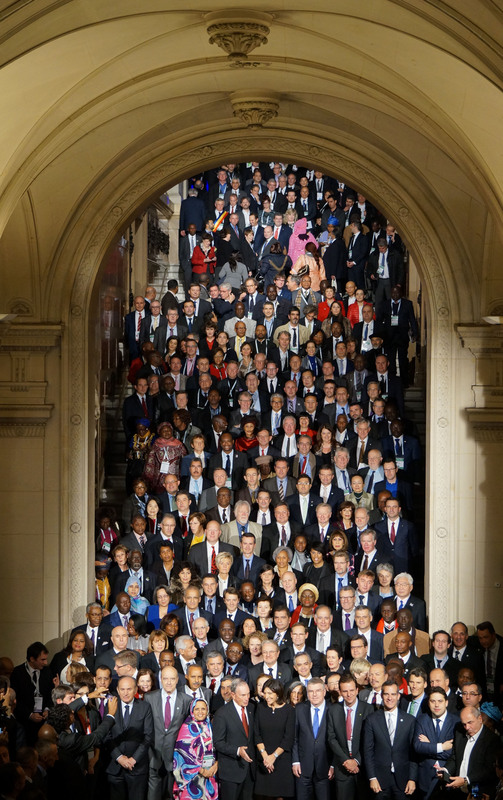 Read ICLEI’s blog on the day 1, 2 & 3 deliberations here. Read the intervention delivered by ICLEI on behalf of the #CitiesIPCC Campaign here.